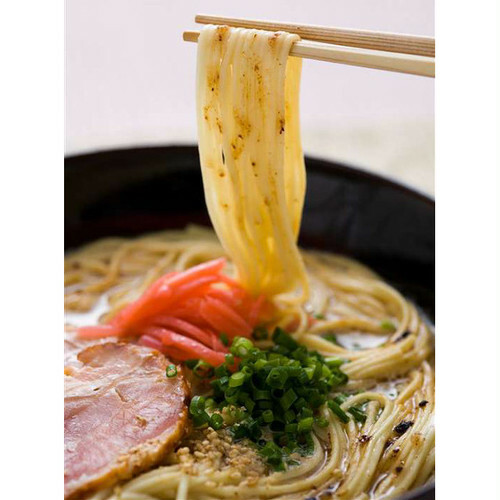 With roasted garlic flavor oil topping! 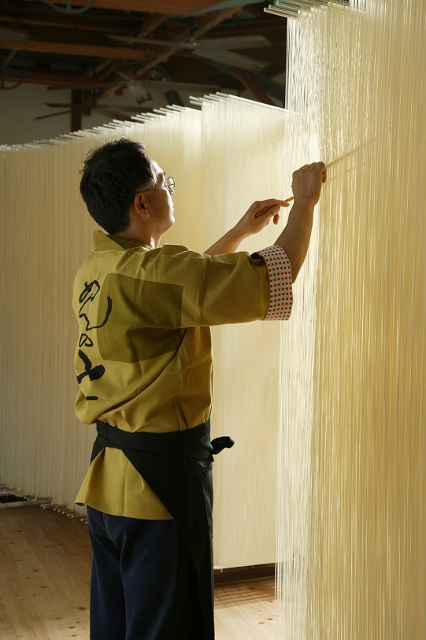 the famous hand-pressed noodles maker in Minami Shimabara Nagasaki. 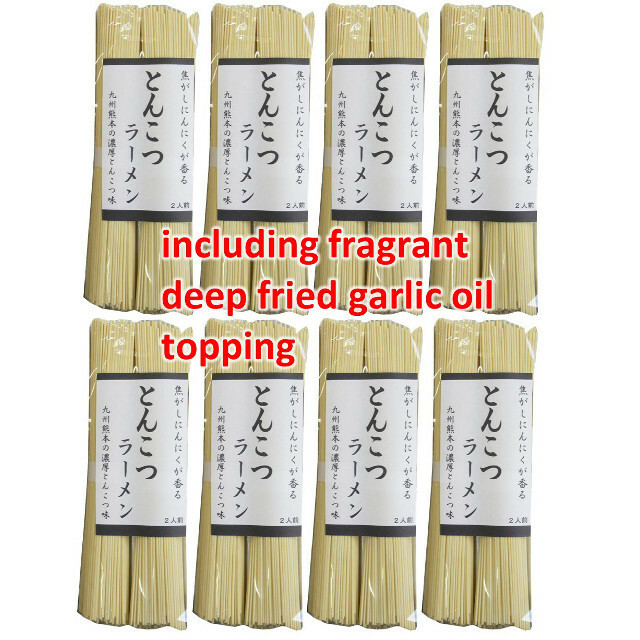 including fragrant deep fried garlic oil topping. 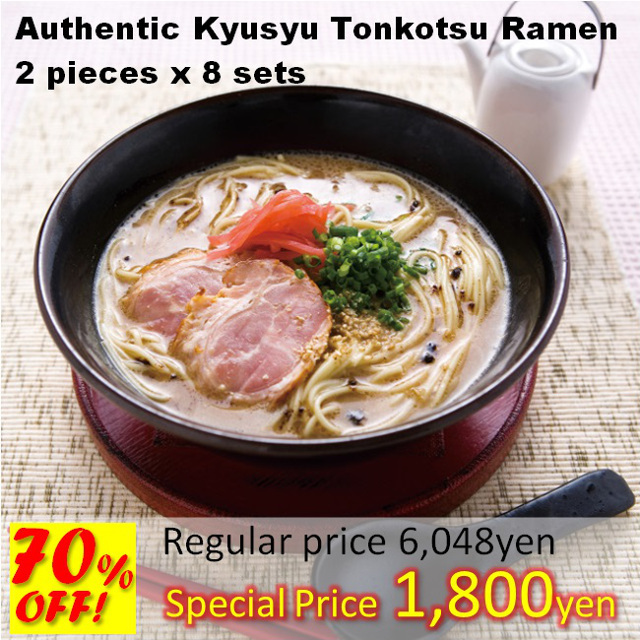 Can enjoy Authentic and Local's favorite Tonkotsu Ramen. 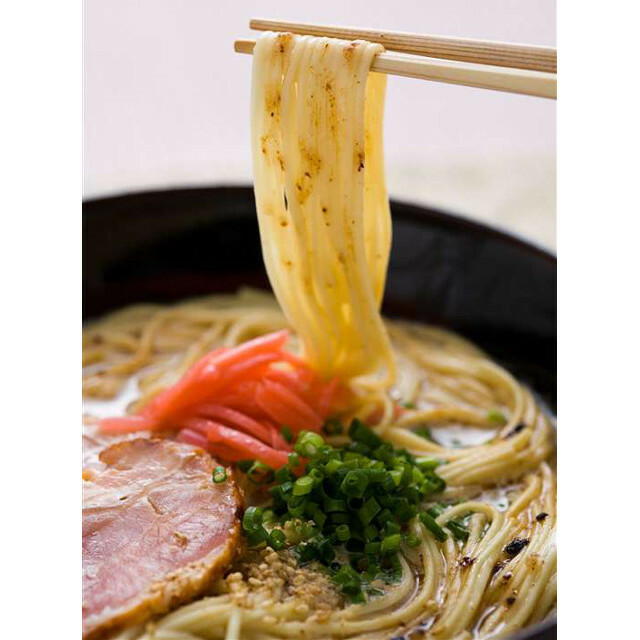 Upon fully boiling, drop 1 piece of Noodles and keep boiling for 4 or 4 and a half minutes. 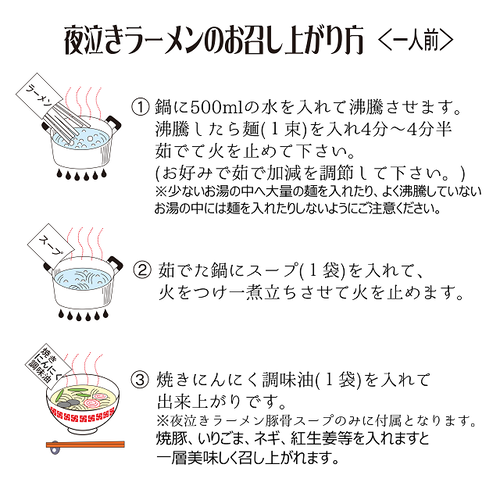 *Do not put Noodles in less water NOR un-boiled water. 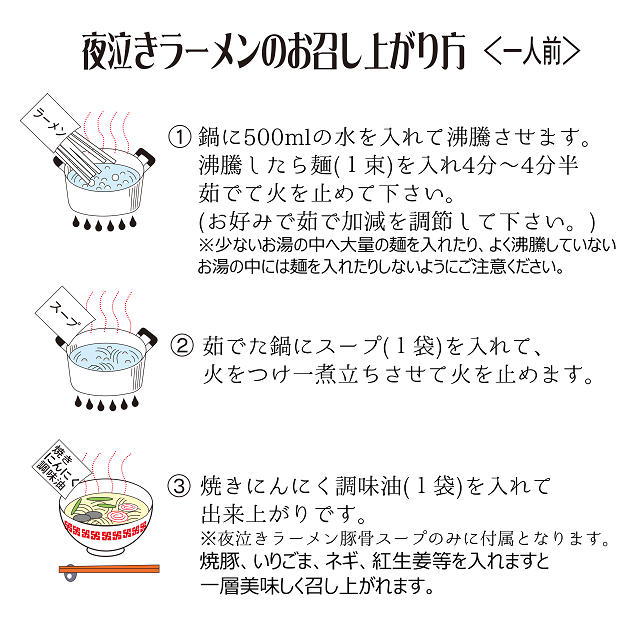 ②Add 1 pack of Concentrated Soup into the pot, turn ON fire again, and turn OFF after boiling. 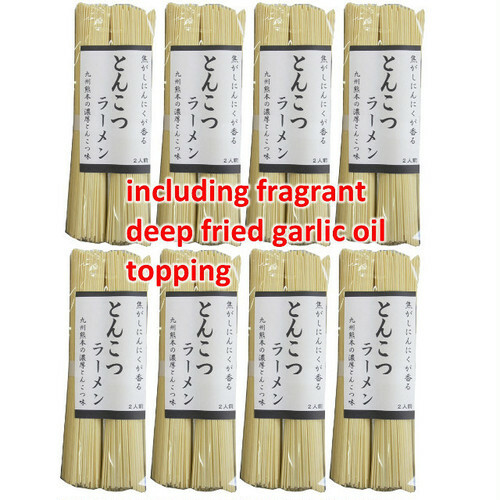 ③Add 1 pack of Roasted Garlic flavor oil, DONE! *Adding toppings, e.g. Grilled Pork, Roasted Sesame, Green Onions, Beni Shoga(red pickled ginger) etc. make it more fabulous!